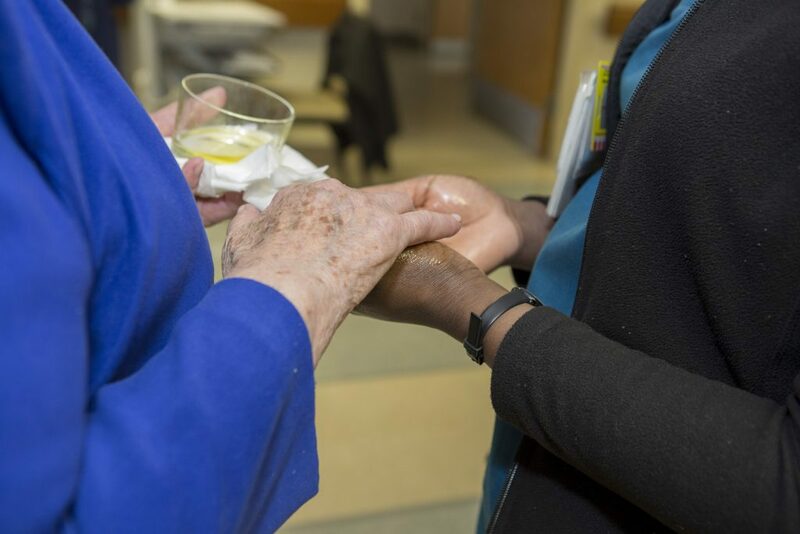 On Monday, May 7, St. Peter’s Hospital held a “Blessing of the Nurses’ Hands,” to begin National Nurses Week 2018. Sister Mavis Jewell offered blessings to nurses and care providers around the hospital. The blessing recognizes how hard nurses’ hands work, how difficult the work is, and empowers their hands to heal.